In this section you will find detailed summaries of our laboratory tests. You can either search by category, condition, or symptom (using the menu buttons below), or type a key word into the search bar for a list of all relevant tests. Within each test page you'll find a description of the test, technical details (such as analytes measured and related symptoms), practical information (test type, processing time, and required sample), and various PDF files with sample test results, scientific papers, and instructions. Strong healthy bones are a key factor in optimal ageing. Ensuring a balance between collagen formation, osteoblasts and osteoclasts is important. We offer a range of markers that give information in order to support healthy bone formation and maintenance. Borrelia is a tick-transmitted bacteria that causes Lyme disease. Research has shown that Borrelia infections are often accompanied by "co-infections". We provide a full array of tests that detect Borrelia and these co-infections. Cancer markers are substances found in the blood, urine, or body tissues that can be elevated when cancer is present. These tests are designed to detect the concentration of such markers in order to provide an early warning of cancerous cells and the efficacy of treatment. These tests help detect obstructions in the cardiovascular system, the bodies transport mechanism. Detecting such a blockage allows practitioners to locate and address the impediment, and return the system to efficiency. Integrated tests measuring more than 100 nutritional components to provide a thorough screen of health markers. These panels help garner a comprehensive perspective of the body's nutritional content, metabolic function, and cardiovascular health. Stool and urine samples offering a comprehensive view into the health and efficiency of the gastrointestinal tract; from specific assessments of parasitic and bacterial activity to the general assessments of gastrointestinal function. Since the Human Genome Project, a new physiological perspective has been granted with the ability to test and map the body's building blocks, DNA. 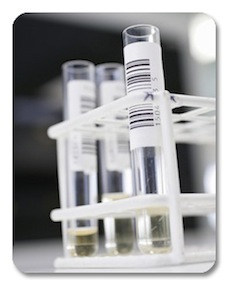 These tests use this knowledge to provide insight on an individual's genetic make-up and optimise health and wellness. Hormones are chemical messengers that transport signals from one cell to another. These hormone tests measure levels of cortisol (a stress regulator), thyroid function, fertility, and profiles of specific male/female hormone function. The immune system protects the body from potential pathogens. These tests measure and detect breakdowns and weaknesses in the body’s immune system; focusing on food allergies, yeast infections, and gluten intolerance. Neuropeptides are small molecules used by neurons to communicate. When food proteins break down, they are metabolized into peptides, which serve as the body's building blocks. Poorly metabolized foods stunt the use of these peptides, to cause significant health and mental disorders. Function When properly sustained, nutrition and metabolic functions assist in developing an efficient body and subsequent mind. These tests measure all necessary components of a productive metabolism and adequately supplied nutrition. Oxidative stress reflects imbalances between reactive oxygen and a biological system's ability to detoxify reactive intermediates or to repair the resulting damage. Disturbances in normal redox states can cause toxic damage to all components of the cell. We are constantly exposed to various pollutants: pesticides and herbicides in food, hazardous solvents and noxious chemicals in air and water. These tests detect toxins and environmental pollutants, toxic metals, PCBs, and pesticides. These tests detect concentrations of all essential vitamins. Vitamins are nutrients that organisms require but cannot produce themselves. Therefore, receiving sufficient vitamins through diet and supplementation is vital.